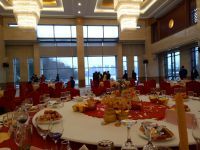 On Friday, February 2nd, I attended the Hefei City Chinese-Foreign Friendship Spring Festival Celebration [合肥市举办2018年华人华侨友好人士新春联谊会] held by the Hefei Municipal Government and the Hefei Overseas Chinese Affairs Office [侨务处]. The event was really nice, at a very beautiful venue, and well-attended with over 60 delegates. 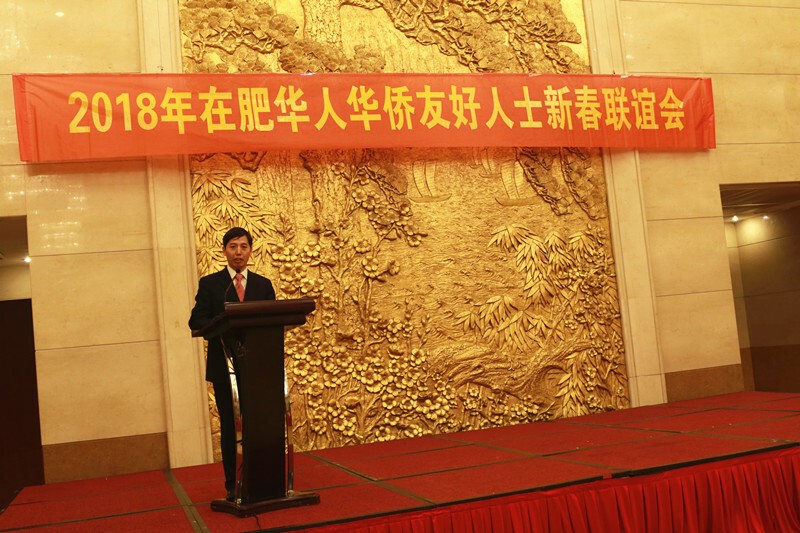 A welcome speech was given by the Hefei City Vice-Mayor Qingen Peng [彭庆恩], followed by discussion contributions by several international delegates. 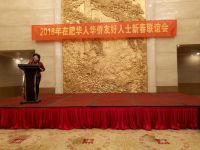 I had the honor to also give a short speech, which I used to thank the Hefei Administration and Hefei University for the excellent support they provide for international experts. The nice environment that they have created allows us foreigners to feel at home in Hefei. During my eight years working full-time in Hefei, I have witnessed an incredible growth and development. I am therefore convinced that this city has a great future and I used this opportunity to express these feelings. Unfortunately, I had a very bad cold on that day and therefore had to leave early.